Fighting against class imbalance in a supervised ML problem. cluster the larger class into M clusters and use cluster centers for training the model. If it is a neural network or some compatible model. Cluster the the large class into K clusters and use these clusters as pseudo classes to train your model. This method is also useful for training your network with small number of classes case. It pushes your net to learn fine-detailed representations. Divide large class into subsets with M instances then train multiple classifiers and use the ensemble. Hard-mining is a solution which is unfortunately akin to over-fitting but yields good results in some particular cases such as object detection. The idea is to select the most confusing instances from the large set per iteration. Thus, select M most confusing instances from the large class and use for that iteration and repeat for the next iteration. For specially batch learning, frequency based batch sampling might be useful. For each batch you can sample instances from the small class by the probability M/(M+N) and N/(M+N) for tha large class so taht you prioritize the small class instances for being the next batch. As you do data augmentation techniques like in CNN models, mostly repeating instances of small class is not a big problem. Note for metrics, normal accuracy rate is not a good measure for suh problems since you see very high accuracy if your model just predicts the larger class for all the instances. Instead prefer ROC curve or keep watching Precision and Recall. Please keep me updated if you know something more. Even, this is a very common issue in practice, still hard to find a working solution. How many training samples we observe over life time ? In this post, I like to compute what number of visual instances we observes over time, with the assumption that we visually perceive life as a constant video with a certain fps rate. Let's dive into the computation. Relying on , average person can see the world with 45 fps on average. It goes to extremes for such people like fighter pilots which is 225fps with the adrenaline kicked in. I took the average life time 71 years  equals to (2 .24 billion) secs and we are awake almost of it which makes (1.49 billion) secs . Then we assume that on average there are neurons in our brain . This is our model size. Eventually and roughly, that means without any further investigation, we have a model with 86 billion parameters which learns from almost 67 billion images. 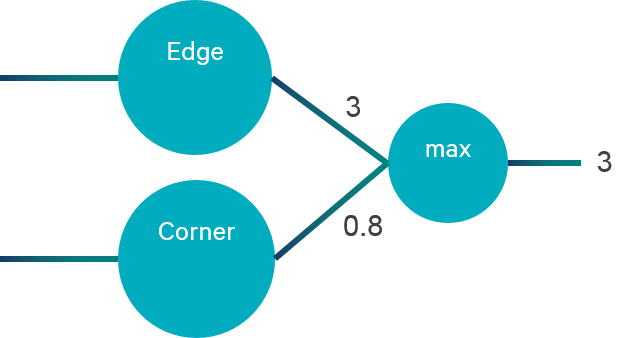 Maxout  units are well-known and frequently used tools for Deep Neural Networks. 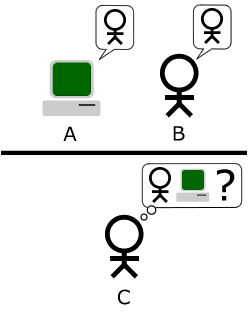 For whom does not know, with a basic explanation, a Maxout unit is a set of internal activation units competing with each other for each instance and activation of the winner is propagated as output and the loosers are kept silent. At the backpropagation phase, it means we update only the winner unit. That also means, implicitly, we always prefer to back-propagate gradient signal through the strongest path. It is an important aspect of Maxout units, especially for very deep models which are prone to gradient instability. Although Maxout units have very good properties like which I told (please refer to the paper for more details), I am a proactive sceptic of its ability to encode underlying information and pass it to next layer. Here is a very simple example. Suppose we have two competing functions (filters) in a Maxout unit. One of these functions is receptive of edge structures whereas the other is receptive of corners. For an instance, we might have the first filter as the winner with a value, let’s say, ~3 which means Maxout output is also ~3. For another instance, we have the other function as the winner with approximately same value ~3. If we assume that each NN layer is a classifier which takes the previous layer output as a feature vector (I guess not very wrong assumption), then basically we give the same value for different detections for a particular feature dimension (which is corresponded to our Maxout unit). Eventually, we cannot expect from the next layer to be able to discern this signal. Here is one alternative approach for better encoding of competing functions, which we call NegOut. Let's assume we have a ordering of two competing functions by heart as 1st and 2nd. If the winner is the 1st function, NegOut outputs the 1st function's value and otherwise it outputs the 2nd function but by taking its negative. NegOut yields two assumptions. The first, competing functions are always positive (like ReLU functions ). The second, we have 2 competing functions. NegOut activation with different winners. If we consider the backpropagation signal, the only difference from Maxout unit is to take negative of the gradient signal for the 2nd competing unit, if it is the winner. As you can see from the figure, the inherent property here is to output different values for different winner detectors in which the value captures both the structural difference and the strength of the winner activation. I performed some experiments on CIFAR-10 and MNIST comparing Maxout Network with NegOut Network with exact same architectures explained in the Maxout Paper . The table below summarizes results that I observe by the initial runs without any finetunning or hyper-parameter optimization yet. More comparisons on larger datasets are still in progress. Results on CIFAR-10 and MNIST after average of 5 different runs. NegOut give better results on CIFAR, although it is slightly lower on MNIST. Again notice that no tunning has been took a place for our NegOut network where as Maout Network is optimized as described in the paper . 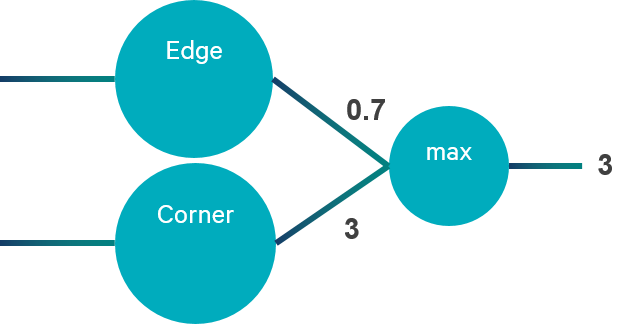 In addition, NegOut network uses 2 competing set of units (as it is constrained by its nature) for the last FC layer in comparison to Maxout net which uses 5 competing units. My expectation is to have more difference as we go through larger models and datasets since as we scale up, representational power takes more place for better results. Here, I tried to give a basic sketch of my recent work by no means complete. Different observations and experiments are still running. I also need to include LWTA  for being more fair and grasp more wider aspect of competing units. Please feel free to share your thoughts as well. Any contribution is appreciated. PS: Lately, I devote myself to analyze the internal dynamics of Neural Networks with different architectures, layers and activation functions. The aim is checking under the hood and analysing any intuitionally well-functioning ideas applied to Deep Neural Networks. I also expect to share more of my findings at my blog. The idea is flickered by (up to my best knowledge) Caruana et. al. 2006. Basically, the idea is to train an ensemble of networks and use their outputs on a held-out set to distill the knowledge to a smaller network. Then this idea is recently hashed by G. Hinton's work which trains larger network then use this network output with a mixture of the original train data to train a smaller network. One important trick is to using higher temperature values on softmax layer of the teacher network so class probabilities are smoothly distributed over classes . Student networks is then able to learn class relations induced by the teacher network beside the true classes of the instances as it is suppose to. Eventually, we are able to compress the knowledge of the teacher net by a smaller network with less number of parameters and faster execution time. Bengio has also one similar work called Fitnets which is the beneficiary of the same idea from a wider aspect. They do not only use the outputs of the teacher net, but they carry representation power of hidden layers of the teacher to the student net by a regression loss that approximates the teacher hidden layer weights from the student weights. We are finally able to see some Bayesian arguments on Deep Models. One of the prevailing works belongs to Maxwelling "Bayesian Dark Knowledge". Again we have the previous idea but with a very simple trick in mind. Basically, we introduces a Gaussian noise, which is scaled by the decaying learning rate, to the gradient signals. This noise indices a MCMC dynamics to the network and it implicitly learns ensemble networks. The teacher trained in that fashion, is then used to train student nets with a similar approach proposed by G. Hinton. I won't go into mathematical details here. I guess this is one of the rare Bayesian approaches which is close to be applicable for real-time problems with its a simple trick which is enough to do all the Bayesian magic. Variational Auto Encoder is not a new work but it recently draw my attention. The difference between VAE and conventional AE is, given a probability distribution, VAE learns the best possible representation that is parametrized by defined distribution. Let's say we want to fit gaussian distribution to the data. 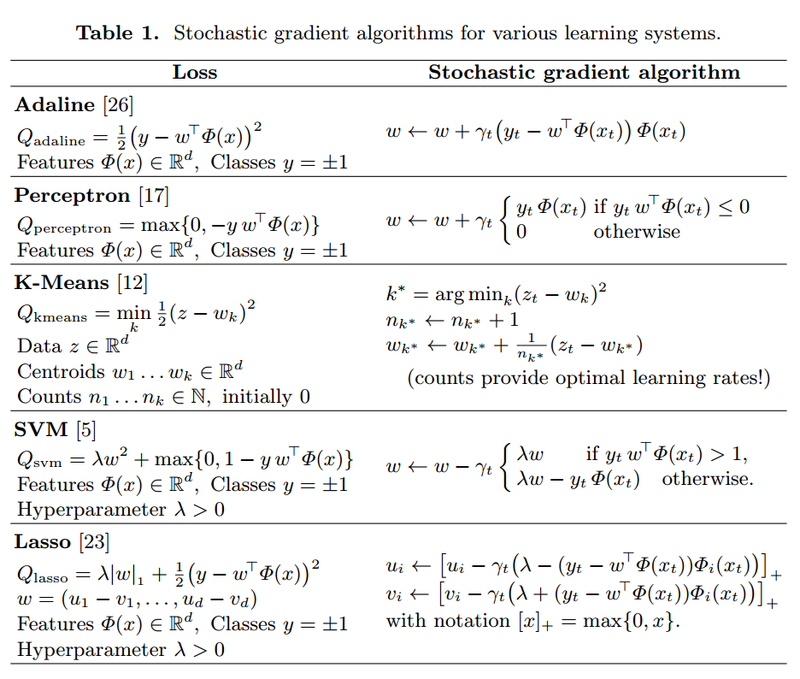 Then, It is able to learn mean and standard deviation of the multiple gaussian functions ( corressponding VAE latent units) with backpropagation with a simple parametrization trick. Eventually, you obtain multiple gaussians with different mean and std on the latent units of VAE and you can sample new instances out of these. You can learn more from this great tutorial. ReNet is a paper from Montreal group. They explain an alternative approach to convolutional neural networks in order to learn spatial structures over visual data. Their idea relies on recurrent neural network which scans the image in a sequence of horizontal and then vertical direction. At the end, RNN is able to learn the structure over the whole image (or image patch). Although, their results are not better than state of art, spotting an new alternative to old fashion convolution is exciting effort. We already talked about dark knowledge approach that is able to compress larger modes into a small ones. Beside, there are some structural approaches so as to compress larger models. One instance to these works is "Learning both Weights and Connections for Efficient Neural Networks". You can reach my personal note relating to this work by this link. "Neural Networks with Few Multiplication" by Bengio's team introduces a yet another algorithmic solution for faster and less memory bloating training.